This might be Clare Waight Keller’s first resort collection since taking over the creative reins, but the British designer knew exactly what she was doing. This confidence was especially apparent seeing she chose to not only delve into a lesser-known part of Givenchy’s long heritage — a sportswear line — but also fuse it with its founder’s life-long interest in Japanese culture. The result is a selection of pieces that wouldn’t so much as look out of place on the streets as it would in the brand’s storied tailoring archives. Still, this playful mix remains inherently wearable and overtly Givenchy. Masculine silhouettes are playfully interspersed with exaggerated Eighties-inflected shoulders and asymmetry. Cowl necks and batwing sleeves translate a day-to-night sensibility, alongside the brand’s famous minimalist black dresses that are now contoured in white or elegant lace. 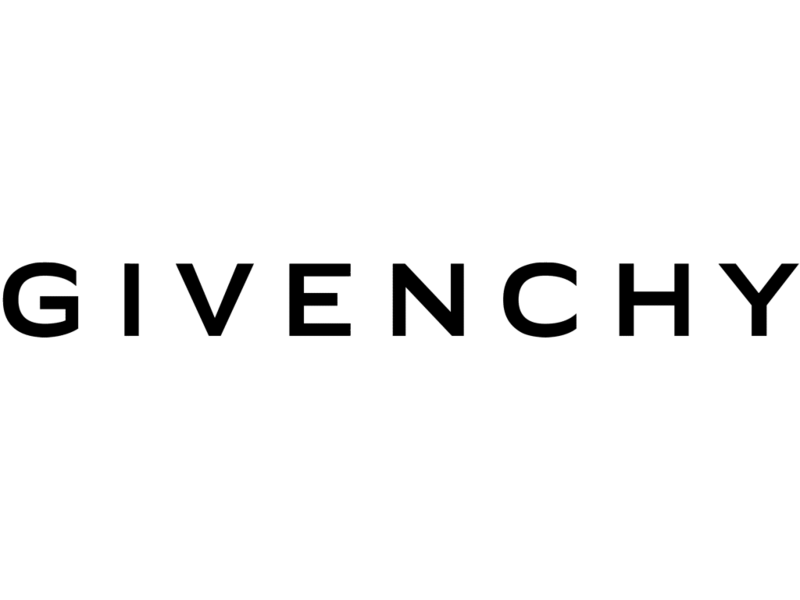 Givenchy Sport — a sports line of Hubert de Givenchy’s in the Eighties — used graphic designs and V-shaped motifs, both of which she applied liberally in forms of chevrons or zigzags in a myriad of spring-approved hues. The triangular detail even extended to the white rubber heels on a fresh pointed pump design. Athletic ease is determined via logo track pants or tops in technical fabrics for the men. Women, on the other hand, make the case with roomy separates in light glossy leather rendered in darker shades of Prussian Blue or Forest Green. Keller’s own trip to Japan must have gotten her thinking about de Givenchy’s own adoration of the culture, and so there were literal layers of references throughout. Key pieces from the archives were reimagined with strict, crisp lines, and then saturated with colour for just the right amount of shock factor — an approach not stranger to the Japanese. 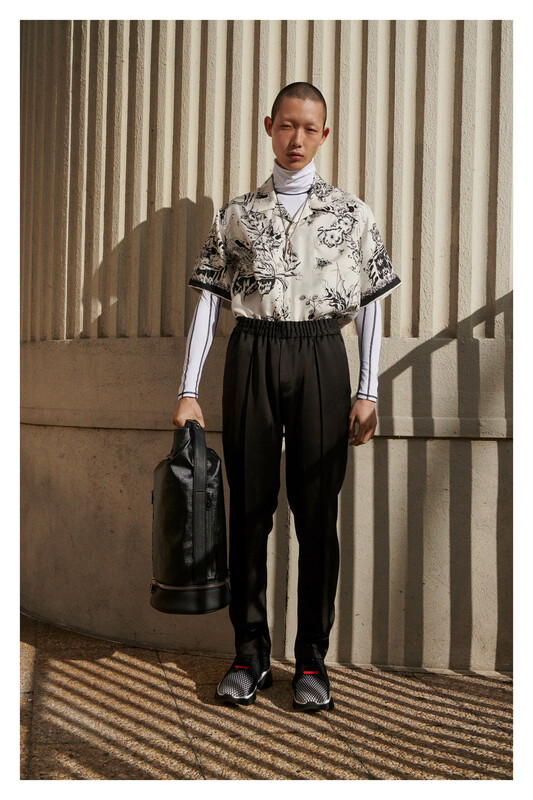 For emphasis, the men’s Hawaiian silk shirts were printed with Japanese-inspired prints and mangas reprised as embellishments, while a dégradé “Japanese Fire flower” print dramatically cascaded down a mid-length black dress. In nodding to the nation’s penchant for innovation, the Spring 2019 Pre-collection utilised Japanese specialist wool and technical fabrics (injected puffer jackets as an alternative to goose down) for outerwear. 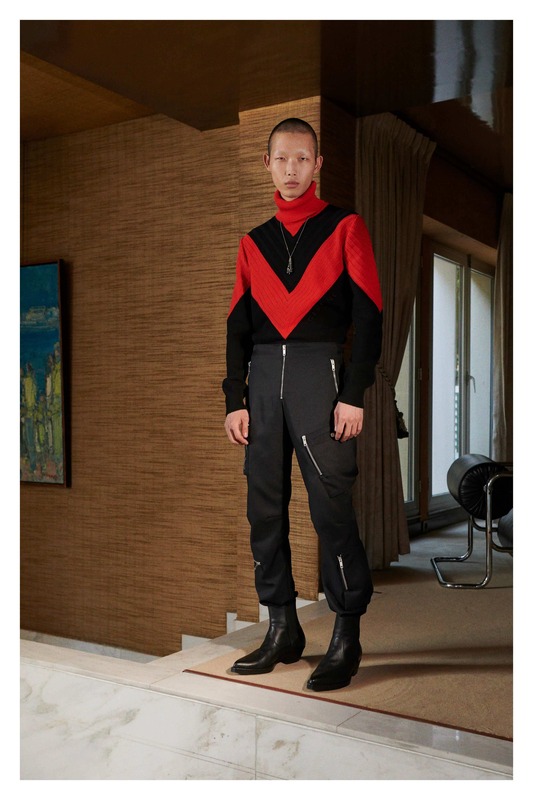 If anything, the collection summed up Waight Keller’s proficiency in bringing together both ends of the spectrum seamlessly. The play between colours, textures, and even cultures are a respectful reinvention of classics and Givenchy’s heritage, something she has already nailed despite only showing two collections prior. Shatricia Nair is a motoring, watches, and wellness writer who is perpetually knee-deep in the world of V8s, tourbillons, and the latest fitness trends. She is fuelled by peanut butter and three cups of coffee a day.